We decorated our main floor Christmas Tree the final Thursday of November. 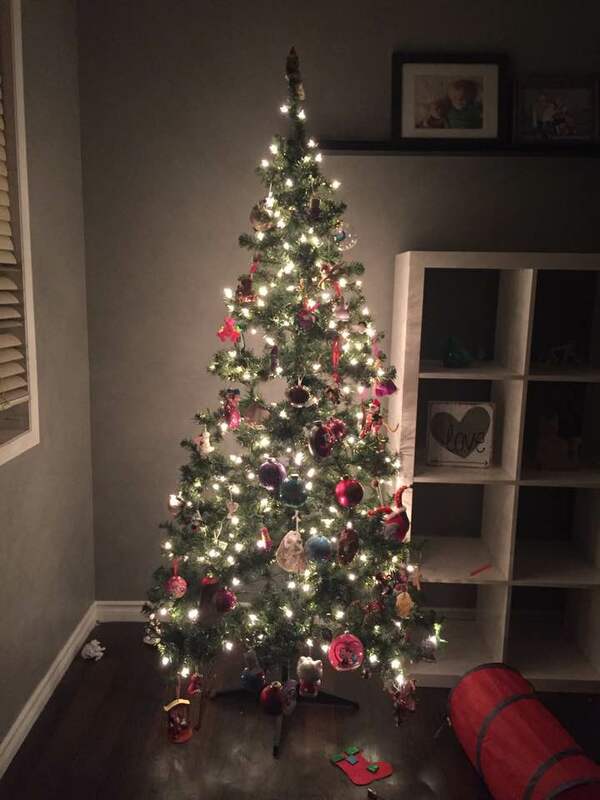 Since we are going back to Saskatoon this year, we used our fake Christmas tree that already has a burnt out strand of lights and this is only it's third christmas. This does not make me happy. I didn't take any really good photos of it while we decorated it so I am using this one of Penelope before her Advent Liturgy to show it. I hated it. I hated all the red and thought it was boring but was too lazy to do anything else with it. Until last week when I went to Michaels and they had their Christmas Ornaments 50% off plus they had a coupon for another 20% off the sale price so I got a whole bunch of bright colourful ornaments for almost free. I have solid magenta, glittered magenta, glittered turquoise, shiny turquoise, glittery purple and shiny green. It came with solid blue but I sold those since I hate blue haha. A local buy n sell site has someone selling white/silver balls which I think will be perfect so I hope to be able to get those and put them on here now. It's hard to tell in this photo but my tree is so much nicer now. 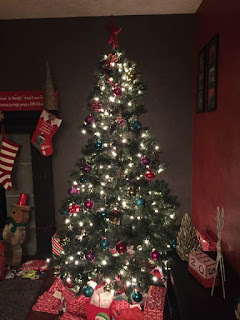 I am very happy with it and as I undecorated my tree, I was amazed at how many ugly ornaments I had accumulated over the years just because they were red haha. I did keep some of the nice red ones but there aren't a lot of them left hanging around. The following Saturday after we decorated the main floor one, we decorated the upstairs one. I call this the kid tree, they call it the fun tree. 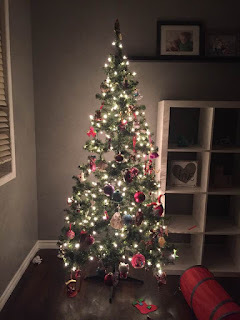 Almost all the ornaments on this tree are the ones the kids pick out each year and the ones they have made over the years. There is very little room, if any, for any of mine and Greg's tacky "fun" ornaments anymore. I like looking at the ornaments on this tree to see how the girls' interests change from year to year. These are Finley's ornaments for this year. 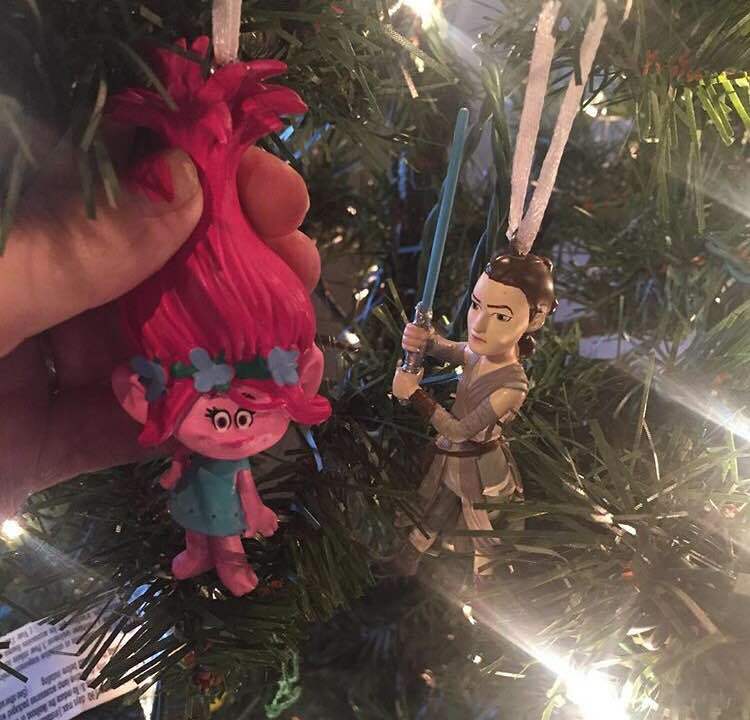 She picked out Poppy Troll while we were at a Target in California (oh how I miss that store) and I happened to be at Walmart after we got back and saw the Rey ornament and knew she would love it. Anything Rey related is very few and far between. Penelope picked a Shopkins ornaments again this year. She had one last year but there were none in the stores so Greg made hers. She loves her Lippy Lips. 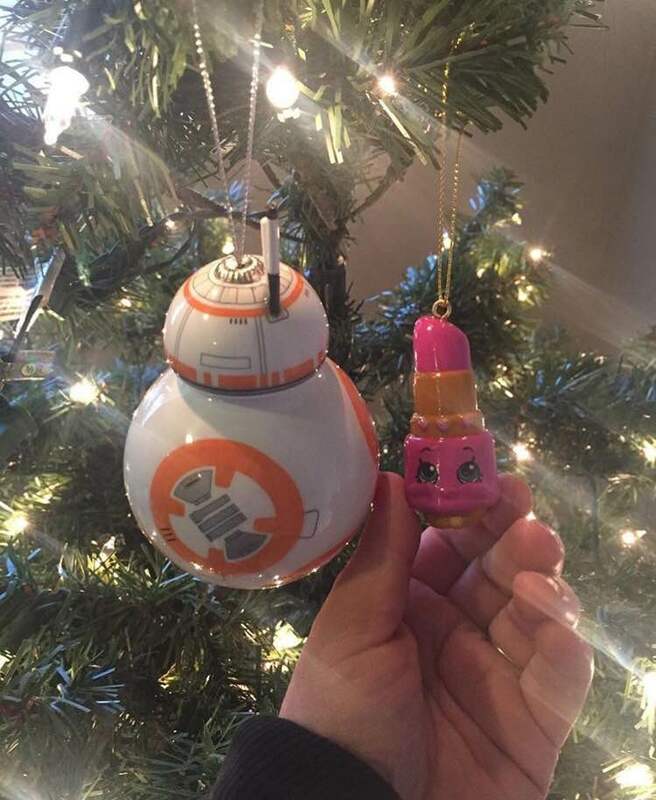 She also loves BB8 so when I saw the Rey one for Finley, I also found this one! 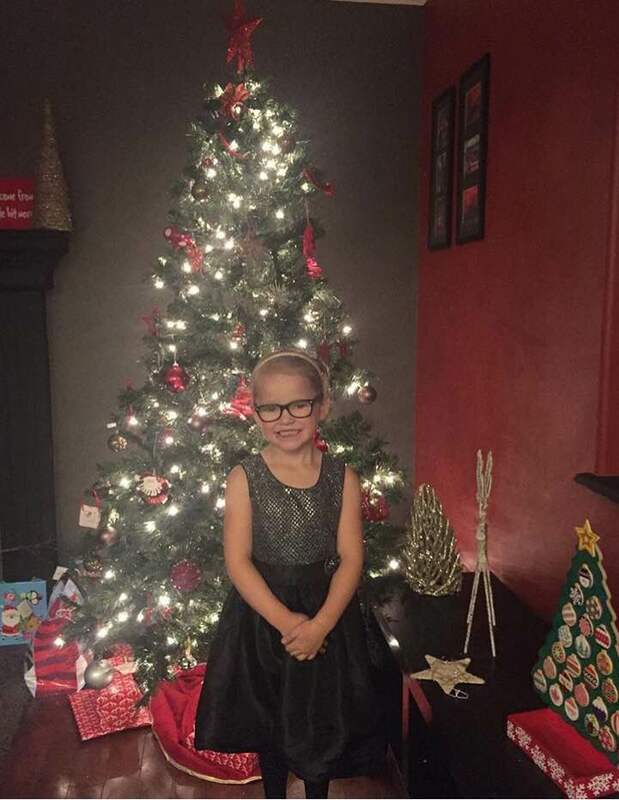 The girls also have a small pink tree in their bedrooms that I got at Target. I would photograph it for you but their rooms are so disastrous that we don't need to share that on here hahaha. They love having the tree in their rooms. Do you guys do one tree with a mixture of ornaments or do you do two like I do?? I have been trying to convince Greg for a third in our basement but he has not been convinced to do so. We could even do it on the years we have a real tree then we could use the extra tree hahahah.